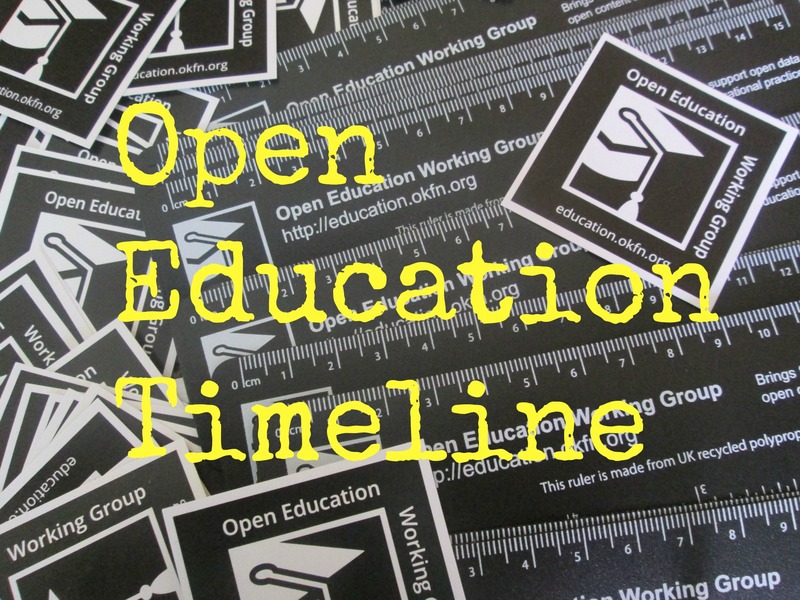 There is a lot going on in Germany in the area of open education! 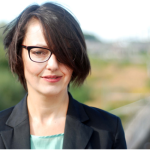 Zwetana Penova has kindly written a post for our Open Education around the World series looking at one particular aspect – OERs – Why German Schools Need Them and Why They Don’t Know it Yet. 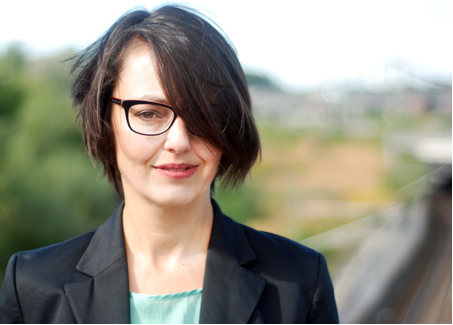 Zwetana Penova is an independent design strategist with big passion for Open education and technology. Zwetana has long-term experience in conceptualizing and visualizing digital educational services and products. To support and inspire people in their learning process she uses tools and methods from design research, rapid prototyping, design thinking and usability. During her years at Cornelsen Publishing she initiated Design Lab- a creative space with an approach to build an user-driven services and products, which help people to teach and to learn. 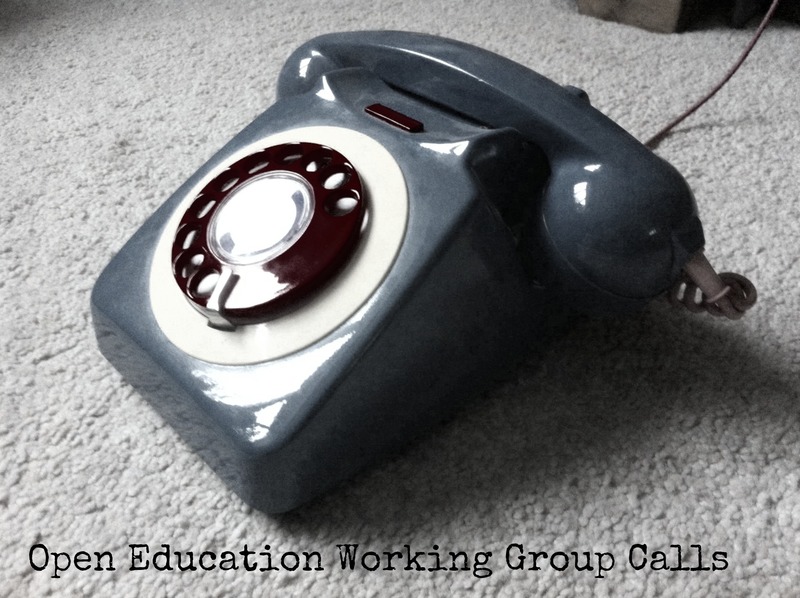 Connecting Design is Zwetana´s blog where she writes about such issues as 21st Century skills in the school, Connected Learning, Moocs etc. “Open Educational Resources” – this term does not say much to your average German school teacher. Not yet. Why is that? Let’s start with the simplest reason – there is no good equivalent term in German. Politically active teachers with a keen interest in technology are likely to pick up on the English “OER”, but they are in the minority. The majority of teachers probably don’t notice their own needs during bar camps discussions and are unlikely to start learning wiki or Moodle in their free time. Why not? Well, they are busy enough as it is. Personally, I cannot blame them for not using Moodle. The truth is, I do not enjoy it myself. But I strongly believe that OER materials can support German teachers in imparting twenty- first-century skills. Why are German teachers so busy these days? They are putting together their own teaching materials. Indeed, teachers are spending about a quarter of their working time preparing lessons. They do it at home, using their laptop, scanner, internet, scissors, schoolbooks, private materials and so on. They are wildly creative – combining exercises from different sources and supplementing them with their own ideas. Each teacher has their own huge repository of DIY materials – be that digital or on paper. The goal of these efforts is to cater to the different deficits, strengths, interests and skills gathered in one classroom. In trying to meet the needs of her students, Sabine commits a crime. Scanning, remixing and e-mailing materials from commercial books is illegal in Germany. That creates quite a tension between schools and commercial publishers. The conflict escalated when school publishers threatened to install a so-called ‘School-Trojan’ in 2012 to control forbidden digitalization in schools. Thanks to vociferous protests, this plan was never implemented. Instead, a more simple and practice-orientated law was promised. The increased digitalization of society and new approaches to teaching brings the global discussion about licensing teaching materials to Germany. The rapid extension of Commons licences across the globe shows how practical and up-to- date this legal model is. In Germany too, there have been a few different initiatives in support of the idea of OER, which offer such materials to schools. Schulbuch-o-Matt (http://www.schulbuch-o-mat.de/). 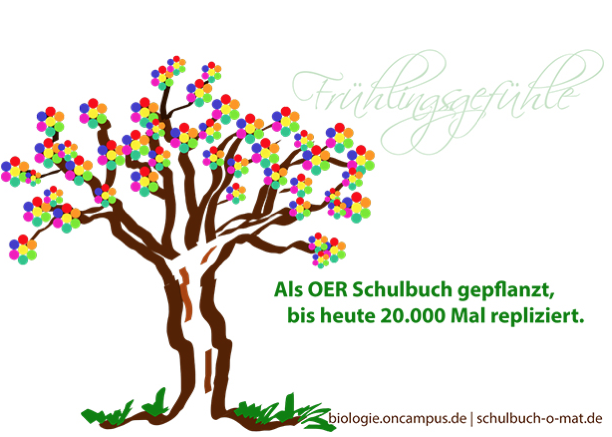 A platform founded by biology teachers from Berlin, who wrote the first OER book in German. This project has received a lot of support and publicity. Lehrer-Online (http://www.lehrer-online.de/lehrer-online.php). This platform has a great collection of German OER materials. Learn:Line (http://www.learnline.schulministerium.nrw.de/app/suche_learnline/). This provides OER materials in line with the curriculum of North Rhine-Westphalia, the largest federal state in Germany. Non-commercial organisations such as Wikimedia (http://www.wikimedia.de/wiki/OERde13) and Co:llaboratory (http://www.collaboratory.de/w/Hauptseite) are also great supporters of OER. Most German OER platforms for schools are either small private initiatives or projects supported by federal educational ministries. In both cases, one can be sure that the people providing materials for the platform are activists who do it in their free time. These platforms are not necessarily easy to find (SEO), and they are not necessarily easy to use (user experience). other European countries? At least this is the impression I had after the OER conference last year in Berlin. In Germany, responsibility for education lies primarily with the federal states. The federal government plays only a minor role here. Thus in secondary education alone, there are fourteen different curricula and five different types of schools. Before they can be offered to schools, teaching materials have to be approved by each federal state ministry. This is a difficult and lengthy process for non-commercial organisations. I believe that only materials produced by commercial publishers are being approved at the moment. It looks like the whole approval system is based on the traditional publishing business model: a publisher develops a textbook, modifies it in accordance with a particular federal state’s curricula, gains approval from the relevant ministry, and ultimately offers it to schools after production. As a matter of fact, in many German federal states schools are only allowed to spend their teaching materials budget on printed books. We must ensure that decisions-makers learn about the advantages of OER for German schools. Opening up the approval process would help to create more high-quality OER materials. Many teachers in Germany see the main benefits of OER in the educational opportunities it brings to disadvantaged children across the globe. In Germany, disadvantage is not really an issue. One of the main benefits of OER for German schools would be the great quality that the peer-to-peer model brings, as seen in Holland and Norway. The best comparison is the Open Source movement. As I mentioned above, German schools are undergoing many changes at the moment. New learning models and new school forms are rethinking the role of teacher and students. The whole purpose of a school is being seen in a new light. New materials that support problem- solving learning, adaptive learning, etc. are essential to creating a German school system for the twenty-first century. OER offer us the flexible teaching and learning materials that would support our teachers in their task of bringing new didactics to schools. Access to OER materials should be highly service-orientated. I believe that an intuitive interface, intelligent tools and evolving support are the keys to the hearts of busy teachers. Good meta-data is not enough to make teachers use and create their own OER stuff. In observing the global OER trend, I see no reason why Germany should ignore this powerful potential. The signs are not bad: several German federal states have been forced by politicians (mostly Pirates and Social Democrats) to discuss the subject of OER. 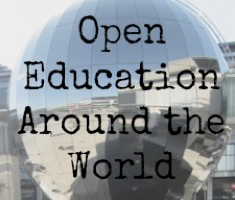 Organisations such as Wikimedia and CO:llaboratory are spreading the idea of OER in Germany, while teachers are looking for more variety in terms of both media and didactics. “Open Educational Resources”- this term doesn’t say much to your average German school teacher. Not yet. P.S. This article gives a short and subjective overview of the OER situation in German schools. we, a team of 51 European institutions from 23 European countries are right now implementing and establishing an Europe-wide centralized and multilingual OER-access point and community-portal called Open Discovery Space (ODS). Our aim is to link around 1,5 Mio freely available learning resources (Focus: MINT), work sheets, lesson plans, guidelines, etc. and connect at least 2000 European schools with each other in order to foster their open educational practices by locally, regionally, nationally, and internationally exchanging resources, experiences and knowledge. The project is funded and highly supported by the European Commission and several national governments. I think we could very well support each other. Even though not yet completely finalized (some planned features are still missing), the multilingual Portal as well as the fully scalable community platform are available and useable. We need you, German teachers, to try it out, to communicate your special requirements and contribute to the European OER community. On the other hand, at the current point of time, you still can influence the further development of the platform. You are also heartily invited to participating in our various school competitions, webinars, and summer schools (see http://ods.ea.gr). Please simply register at the portal or, in case of any questions, feel free to contact me or Sofoklis Sotiriou at EA in Greece: sotiriou@ea.gr.